For all TRV owners and residents. Used to communicate official HOA business and announcements. Open to all TRV owners and residents. Used for non-HOA business, and social discussions within the neighborhood. 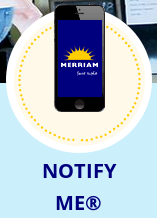 Open to everyone, Sign up at http://www.merriam.org/539/e-Merriam-Newsletter to get a weekly newsletter from city hall about upcoming events like leaf, branch, and large item pickup; public park parties. Open to everyone, Sign up at http://www.merriam.org/list.aspx and pick the categories you’re interested in, from public safety and parks and rec, to public meeting agendas and bid postings.